Elders A light and sound installation by artist Geoff Broadway. Technical design and sound consultancy by Bobby Bird. 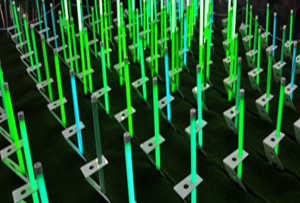 Champ de Lumiere Millennium Point Birmingham – Interactive Light and Sound Installation. Concept & Build: Alexandre Parre. Computor software programming / technical design & consultancy : Bobby Bird. 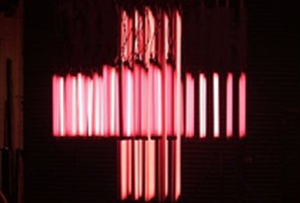 Audio: Mark Harris (Modulate), web based interactivity : Clusta. Illuminate+ A three dimen­sional architectural light structure using ultrasonic sensors, caus­ing the individual lights to dim, glow, ripple and produce sound. Concept & Build: Alexandre Parre. Interactivity/ Max/MSP programming /technical design & consultancy Bobby Bird, Audio: Mark Harris (Modulate).